Our world is full of natural wonders! Van Tol, Alex. 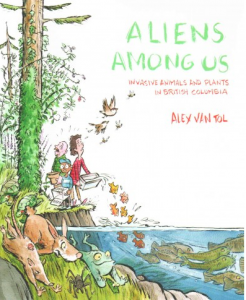 Aliens Among Us: Invasive Animals and Plants in British Columbia. Victoria, B.C. : Royal BC Museum, 2015. An illustrated guide of more than 50 species of plants and animals found in B.C. From English ivy to Himalayan blackberry and from goldfish to rats, this entertaining and informative book is highly recommended for curious readers 9-years-old and up.